We have a plenary indulgence today! 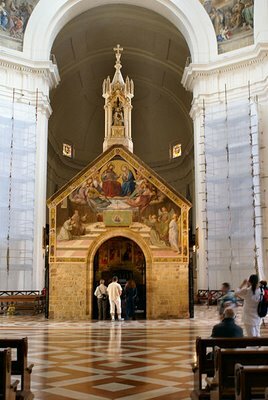 In fact, today is the feast of the “Pardon of Assisi,” which St. Francis obtained from Pope Honorious III in the year 1216, after having a vision while he was praying in the little church of the Portiuncula. 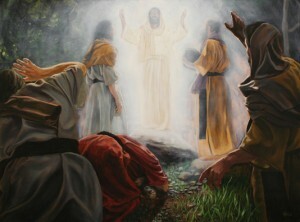 Jesus appeared to him in his glory, with the Virgin Mary on his right and surrounded by many Angels. They asked him to express a wish and Francis implored a ‘full and generous pardon’ for all those who would visit that church who ‘repented and confessed their sin.’ Having received the papal approval, the Saint did not wait for any written document but hastened to Assisi and when he reached the Portiuncula announced the good news: “Friends, the Lord want to have us all in Heaven.” Since then, from noon on 1 August to midnight on the second, it has been possible to obtain, on the usual conditions, a Plenary Indulgence, also for the dead, on visiting a parish church or a Franciscan one. 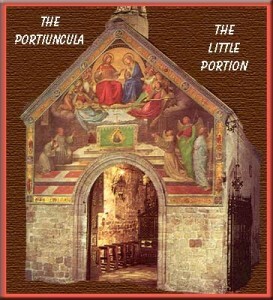 St. Francis of Assisi loved the Portiuncula, the chapel of St. Mary of the Angels. 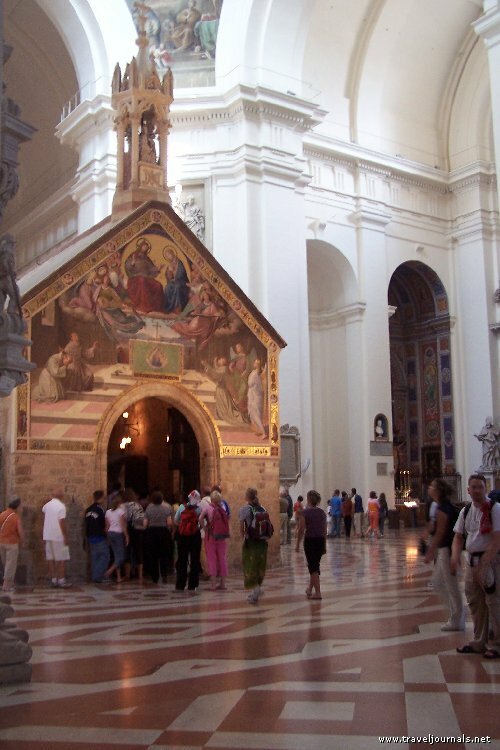 The Benedictines had given this chapel to St. Francis and his early followers. It was their first home. St. Clare made her vows there. The usual conditions to obtain the Portiuncula Indulgence include sacramental Confession and Communion within 8 days, the visit to the parish or Franciscan church, and prayers for the Holy Father. This entry was posted on August 2, 2010. It was filed under X-All topics.